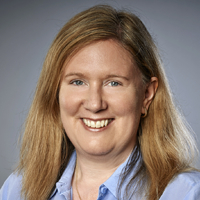 Ruth leads FTI Consulting’s UK transfer pricing team. She has 25 years of transfer pricing experience with expertise in setting global strategy and implementing pragmatic transfer pricing solutions for multinationals. Ruth has a wealth of experience in defending transfer pricing policies, with a strong focus on risk management and fit for purpose documentation. She has been successful in defending transfer pricing policies in a large number of jurisdictions including the UK, US, Australia, France, Germany, Poland and Russia. Prior to joining FTI Consulting, Ruth was a Transfer Pricing Director at Deloitte and a Transfer Pricing Consultant Advisor at BDO Stoy Hayward. Prior to that, she was a National Partner at Andersen. Ruth holds a B.Sc. Engineering Honors 1st Class in Metallurgy and Materials Science from Imperial College. She is a Chartered Accountant and a Chartered Tax Advisor.